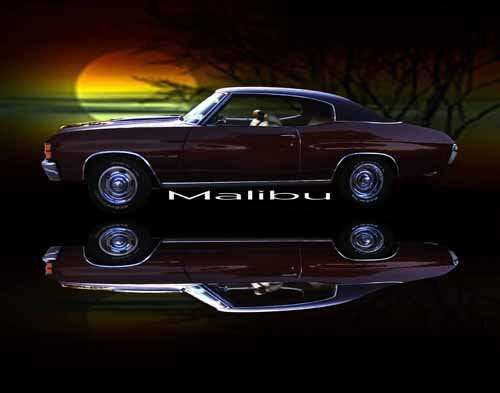 Chevrolet Chevelle Malibu (1973) Car Poster Print on 10 mil Archival Satin Paper 20" x 15"
THE PRICE SHOWN IS FOR ONE PRINT (20"x15") WITH OTHER SIZES AND/OR PRODUCTS AVAILABLE (SEE BELOW). PURCHASE 3 OR MORE ITEMS AND SHIPPING IS FREE! Land Rover Range Rover Evoque 2011 Car Poster Print on 10 mil Archival Satin Paper 24" x 18"
Lavazza GTX-R Archival Canvas Car Print (Mounted) 16" x 12"
Audi R Zero Concept Car Poster Print on 10 mil Archival Satin Paper 20' x 15"
Toyota Prius c Concept Car Poster Print on 10 mil Archival Satin Paper 20" x 15"
BMW M3 CRT Car Poster Print on 10 mil Archival Satin Paper 16" x 12"
Mazda Miata Mono-Posto Concept Car Poster Print on 10 mil Archival Satin Paper 16" x 12"
Racer X Design KC 427 Car Poster Print on 10 mil Archival Satin Paper 16" x 12"
Plymouth Road Runner Car Poster Print on 10 mil Archival Satin Paper 24" x 18"
Chrysler CrossFire Roadster Car Poster Print on 10 mil Archival Satin Paper 16" x 12"
Honda CR-V OHC 2.4L Car Engine Poster Print on 10 mil Archival Satin Paper 36" x 24"